Free FGL Enhance service was updated. And now you can add static AdMob Banners into your apps. This function was requested by many developers. I remember how hard I tried to add Admob into my first mobile game in 2014. It took me no less than 5 evenings to do this. At first I learnt that there is a commercial Milkman ANE, which cost is around $40. Then found a free Pozirk ANE. Spent much time on integration, struggling with application.xml, bugfixing, and every time when I made changes I had to re-compile the app. Yesterday I've tested banner integration with FGL Enhance - this took me only 3 minutes, no more. If I wanted to show/hide the banner, then I might need 5 minutes, including adding the connecting drag-and-drop library and writing the code. 1. Enter FGL Enhance. Select, which SDK to integrate. 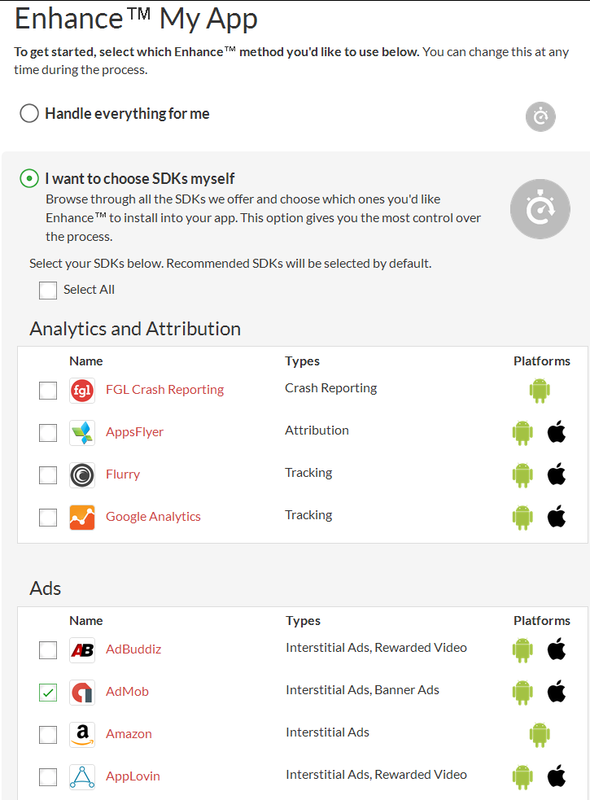 You can select multiple various SDKs using this service, for this tutorial we'll pick only Admob from "I want to choose SDK myself". Actually you can integrate more than 20 SDKs available by just selecting their checkbox. This list includes various ads providers, Crash reporting, Dolby Audio, etc. 2. Select, what development technology was used to build your app. If you want to show/hide the banner, you'll need to connect the lightweight drag-and-drop library and add 1 line of code. Depending on the technology you selected you'll be given a code sample and connector library download link. But if you just want the banner to be present on your screen all the time, which is the easiest solution, you don't need to change your game code! This solution is called ZeroCode and it works for any development technology: event for the .apk and .ipa, which you've got from an HTML5-game or from Game Maker. 3. On this page you can select the ads types which will be shown in your app. Two last types are marked as ZeroCode. You don't need to code anything in your game to have them integrated. For our sample we'll select just a Persistent banner. 4. Now upload our app. 5. On the next screen we can select a banner type. 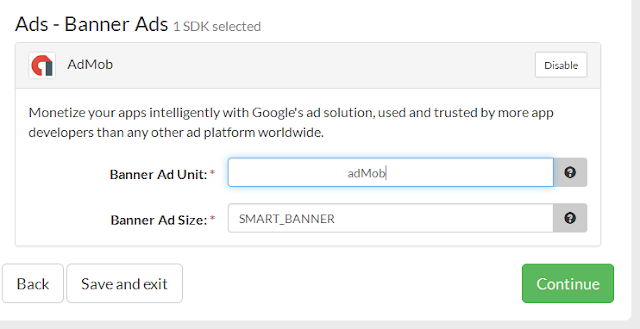 We can use, for example SMART_BANNER or any other banner type from AdMob help. We'll also input the banner id from our AdMob account. 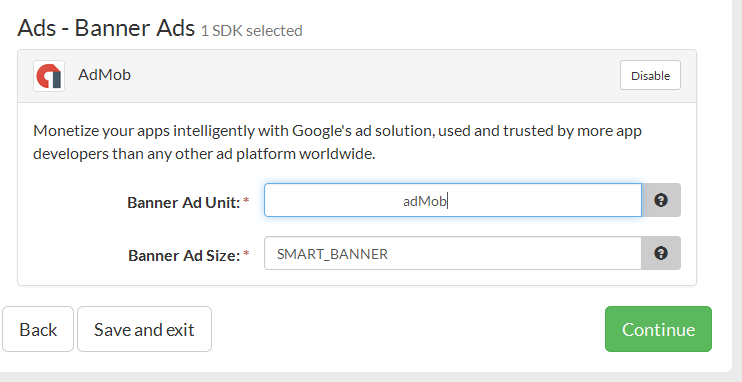 When creating a banner in AdMob account, we can set refresh interval. 6. The final step - signing method selection. You ca use your own developer's certificate, then you'll be able to submit the game to the store right after the AdMob has been injected. You can select a testing certificate to test the app on your own device. Or you can download an unsigned app and sign it locally before submitting to the store. The Enhance service is completely free for the developers. You'll receive the same amount of money from ads as if you'd integrated the ads manually. FGL receives the income from the SDK providers, because, in fact, FGL Enhance makes SDKs more attractive for the new developers.